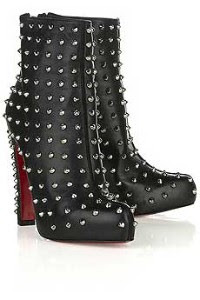 where the style things are: Do You Love These Loubs? Do You Love These Loubs? Could you rock them? I'm obsessed with both, and can't find suitable knock-offs, which leads me to crazy fantasies about actually purchasing these. 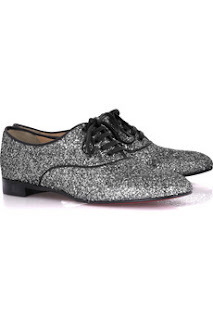 The Fred (glitter oxfords) and The Ariella (studded booties), both available at www.net-a-porter.com. What I plan on wearing them with once I find the cheaper versions - minidresses and anything super preppy - it'll give it a little edge!